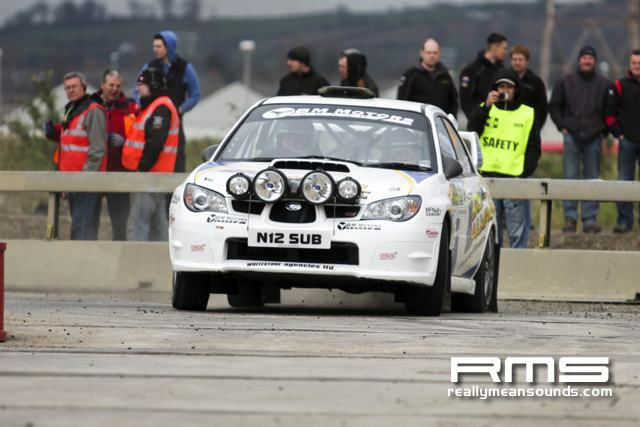 IRC Circuit of Ireland day one review: Hnninen leads epic battle The Donnelly Group Circuit of Ireland Rally, round three of the 2012 Intercontinental Rally Challenge, has got off to an exhilarating start. 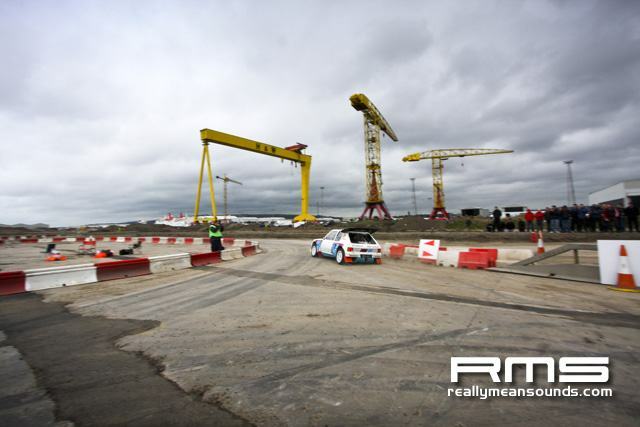 With three different stage winners, three overall leaders and a scant 0.6s covering the top two drivers after a day of high drama that began with the spectacular Titanic Super Special Stage in Belfast on Good Friday afternoon., the battle for victory is tightly poised. 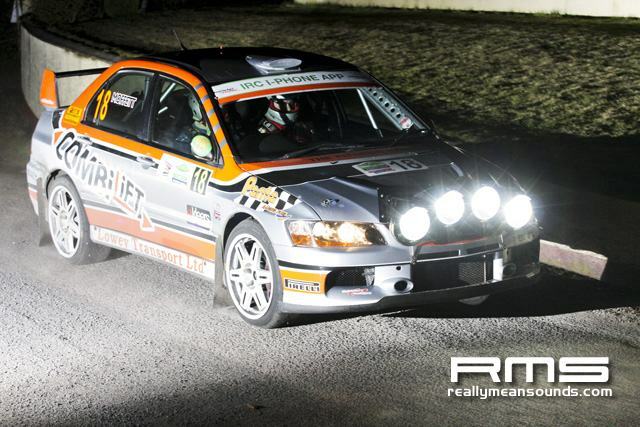 Juho Hnninen, IRC champion in 2010, holds the overnight lead having battled ahead of current title-holder Andreas Mikkelsen with the fastest time on stage four. 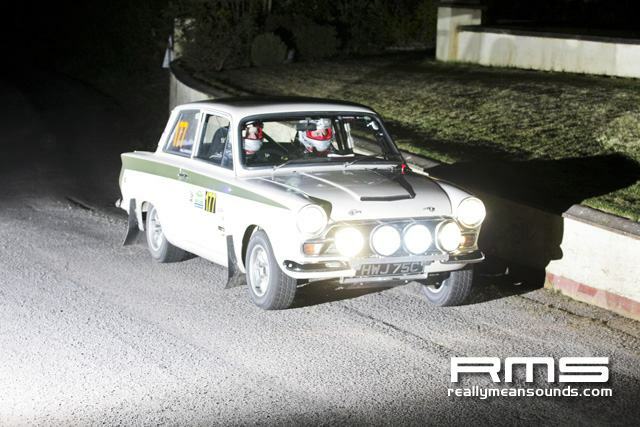 Jan Kopeck, who led after the opening stage, is third overnight with Garry Jennings heading the race for IRC Production Cup honours. 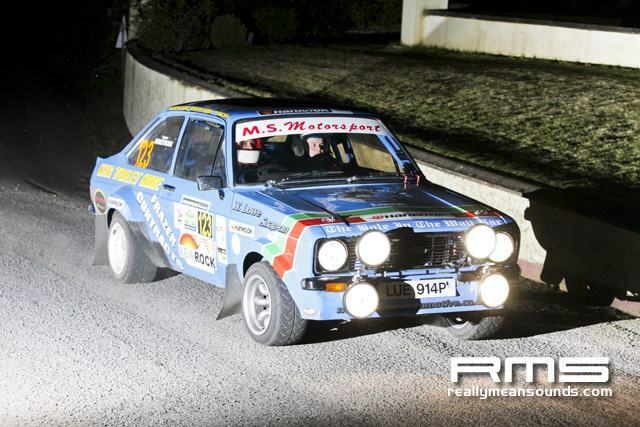 Marty McCormack tops the IRC 2WD Cup section. 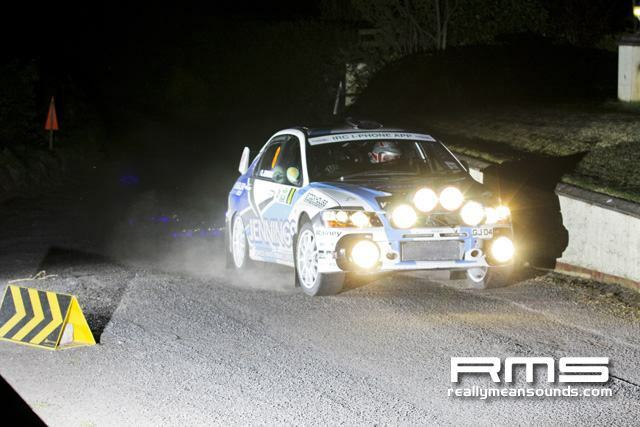 Although the Titanic test took place in dry conditions, rain affected the Drummond and Legane stages this evening and made the low-grip roads around the rally base in Armagh even more slippery. It placed an onus on tyre choice with drivers torn between opting for soft compound rubber for the damp roads or a hard compound tyre for better performance in the dry. 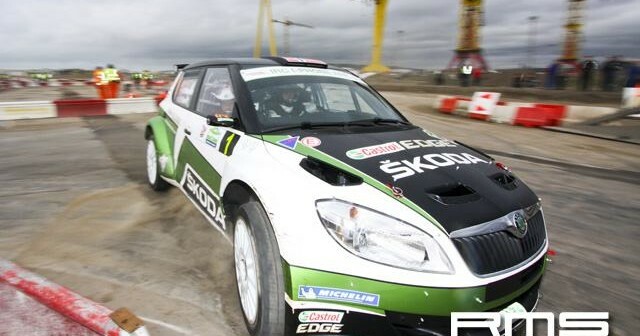 Its not been easy because the grip is changing and it can be slippery in some places but dry in others, said factory KODA driver Hnninen, whose only major moment of concern occurred when he nudged an earth bank with the right-rear wheel of his Fabia Super 2000 on stage three. 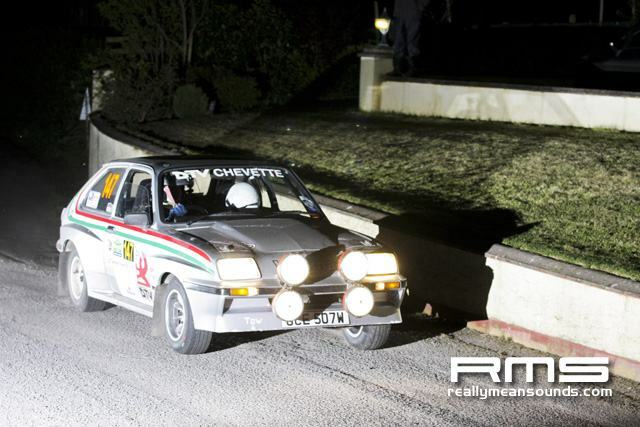 For the night stage it was hard to see where the grip was in some places. 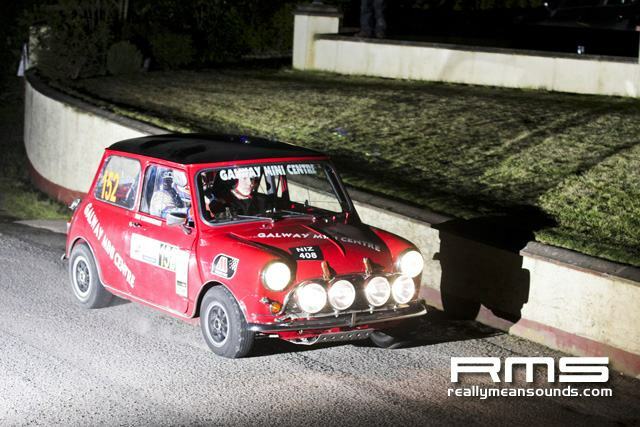 But its going to be a big battle with Mikkelsen. Mikkelsen took the lead on stage two but his advantage of 5.5s was cut to 2.8s when he slid wide into a fence early on the 25.16-kilometre third stage, which Hnninen won. I was braking too late into a left-hand corner and went into a fence but luckily I got going again, said Norwegian Mikkelsen. 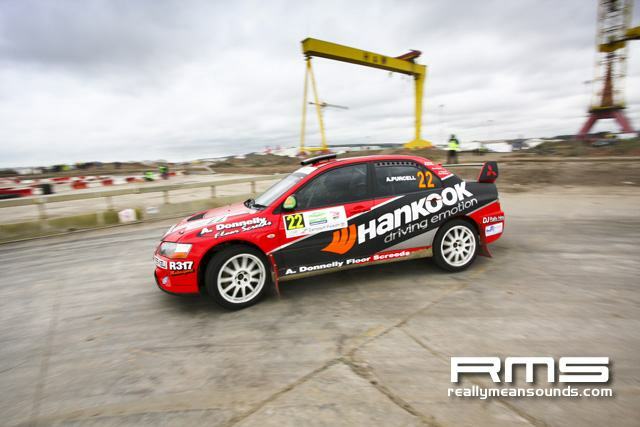 Finn Hnninen made more progress with another fastest time on stage four but any hopes Mikkelsen had of regaining his lead were dashed when stage five was cancelled following earlier time delays. 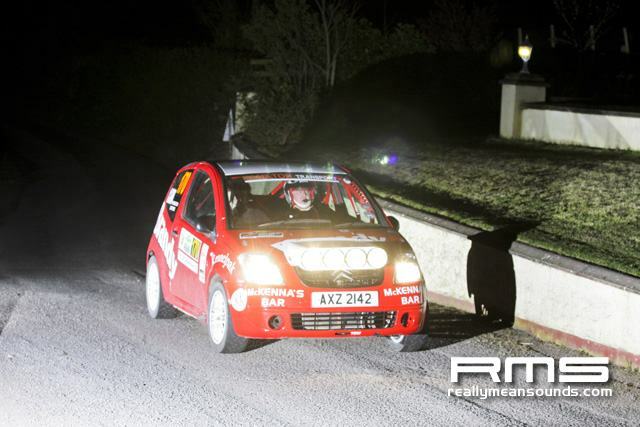 Irishman Craig Breen, making his debut for the Saintloc Racing-Mister Auto operation, reached the end of stage three in fourth overall only for his Peugeot 207 Super 2000 to develop a fuel pump problem on the road section heading to the first service halt in Armagh. Although he eventually made it to service, he picked up 1m30s in time penalties and languishes in seventh position starting day two. Its very disappointing, but this can happen, he said. 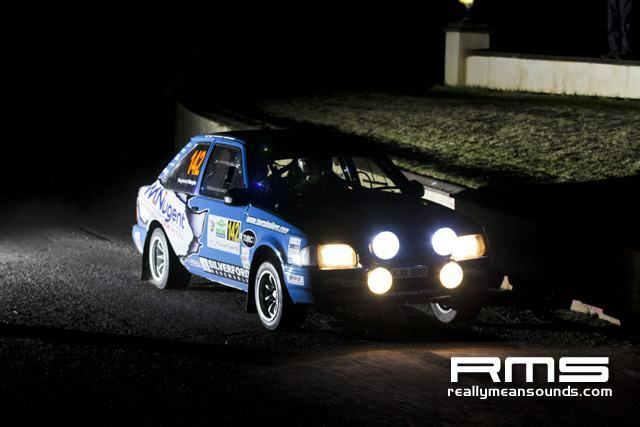 Northern Irelands Alastair Fisher said stiffening the suspension of his M-Sport Ford Fiesta S2000 in evening service had improved his cars handling to the extent that he was able to set an identical time to Mikkelsen on stage four. He is a strong fourth overall, with Frenchman Mathieu Arzeno impressing in fifth in the second Saintloc 207. 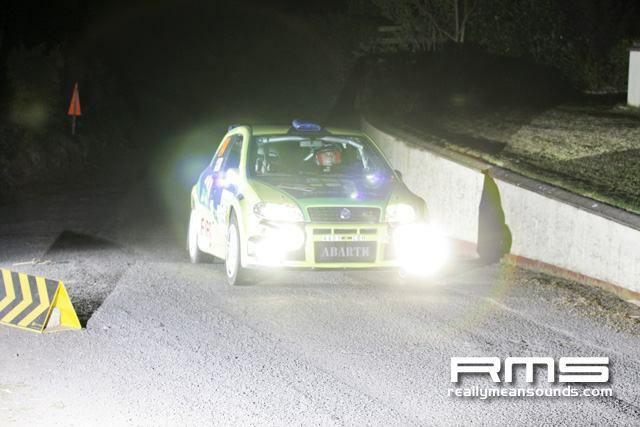 Arzeno could have finished higher up the order but for a spin on stage one and a handbrake glitch on stage two. 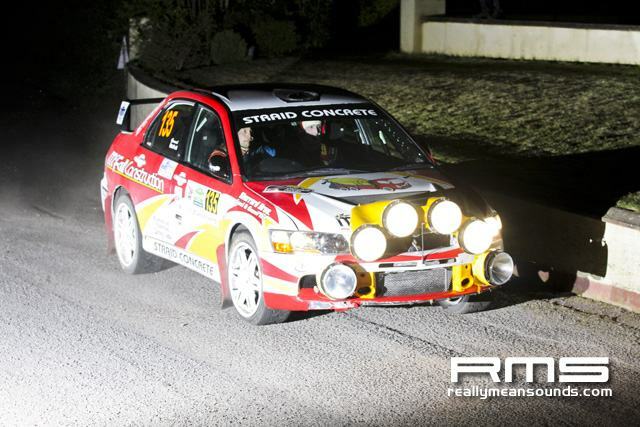 Robert Barrable is sixth for KODA Ireland after spending the opening stages developing a suitable set-up and rhythm on what could be the first of several IRC appearances this season. He conceded to being too cautious in the heavy rain on stage four but otherwise impressed. 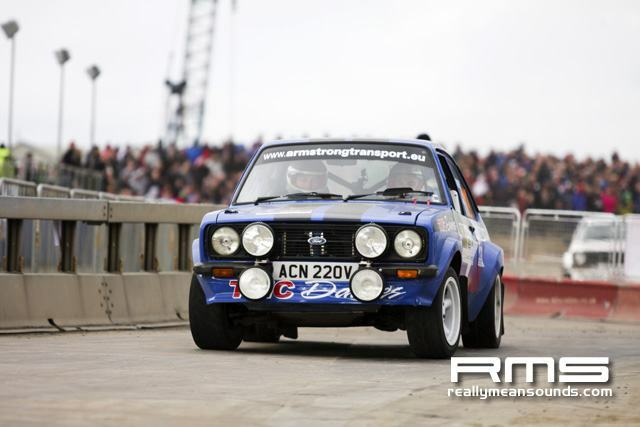 KODA Auto Deutschlands Sepp Wiegand is eighth after a front-left puncture cost him almost two minutes on stage three. 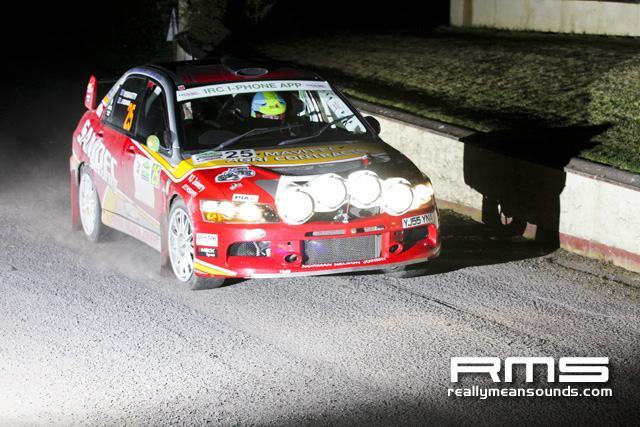 Garry Jennings heads the IRC Production Cup standings in his Ralliart Mitsubishi Lancer in ninth position, despite an intercom fault developing on the third run. 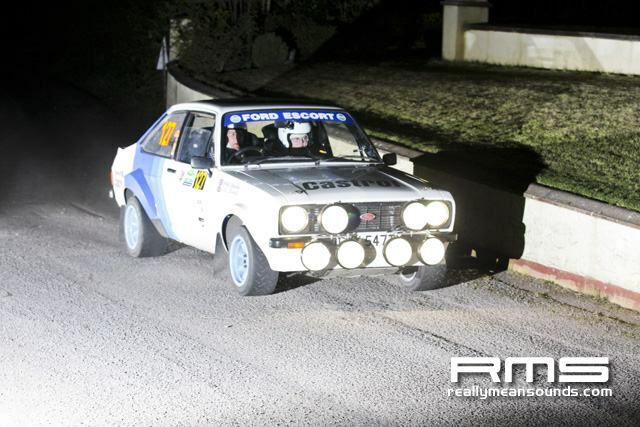 Sam Moffett is second in class in 10th position. 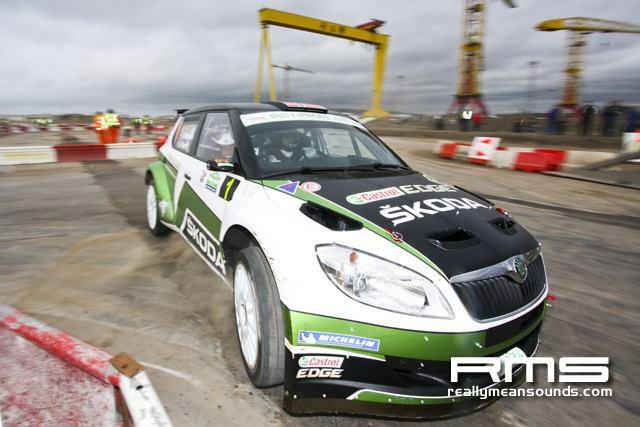 Marty McCormack leads the IRC 2WD Cup on his first competitive outing since last November, following an overshoot on stage two and a nudge with a bank on stage four, which the Northern Irish ace said had bent the rear axle of his Citron DS3 R3T. Fortunately for McCormack, the cancellation of stage five has limited any substantial time loss. 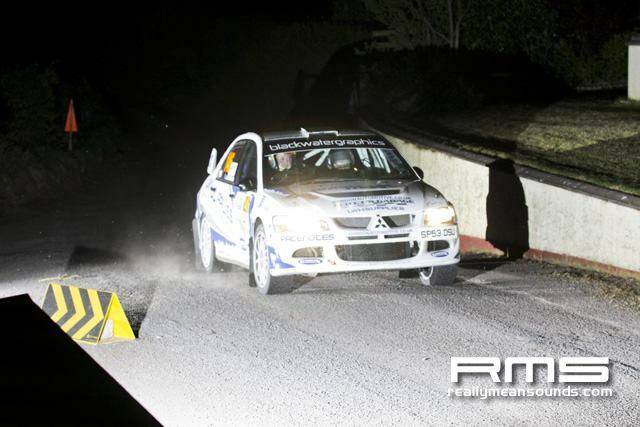 Tommy Doyle is second in the category after brake and a gear indicator problem hampered his Renault Clio R3. There was frustration too for Honda Civic Type R driver Menya Krzser, whose car suffered a puncture and a broken driveshaft on stage three. Robert Consani was also out of luck on the third test when he picked up a puncture and then incurred more delay trying to change the damaged tyre. 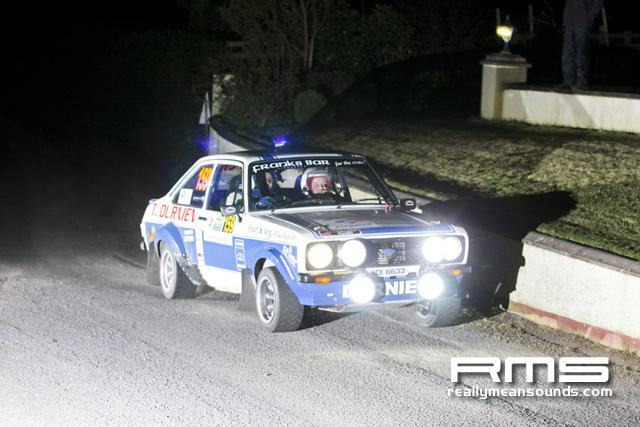 Saturdays action features 10 stages over a competitive distance of 142.26 kilometres. Stage six, the 25-kilometre Redrock test, goes live at 09:07hrs local time. 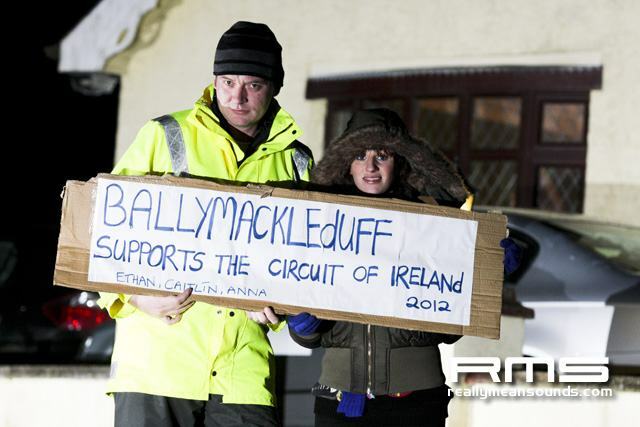 The finish is scheduled at 19:00hrs in Armagh. Highlights of day one will be shown on Eurosport and Eurosport Player. Visit the official IRC website, www.ircseries.com, for more information.